Craving a Starbucks drink but not the price? Try this copy cat recipe! 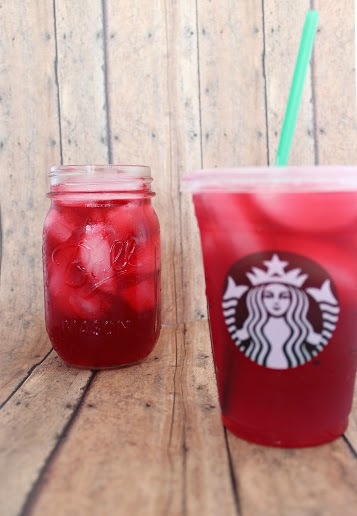 This copycat Starbucks passion tea lemonade is the perfect summer drink for a fraction of the cost at the store! Remove from heat and add tea bags, sugar and vanilla. Allow to sit for 15 minutes. Remove tea bags and refrigerate for at least 1 hour. I mix this all up in a pitcher and store it in the fridge however if you are making a single serving cup simply add ice to a tall closable container. Add 8 ounces tea and 2 ounces of lemonade per serving. Shake well to mix.